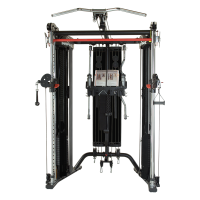 with pull up bar, dual weight stacks, and 2 adjustable pulleys. with pull up bar, smith bar, dual weight stacks, and 6 pulleys. with 6 total pulleys, pull up bar, power rack, & free weight smith bar. Strength training is the perfect complement to your cardio routine. 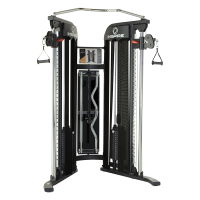 The S3.23 Functional Trainer offers upper- and lower-body exercises and engages your core with dual pulleys that adjust to 30 different starting positions. Comes with matching bench.